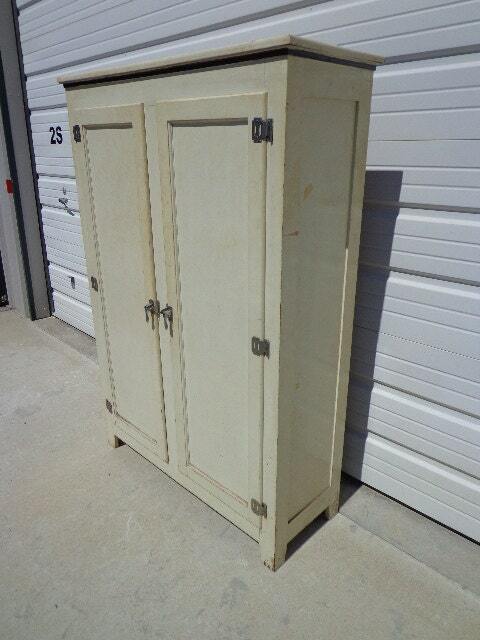 Absolutely amazing antique linen cabinet / closet. 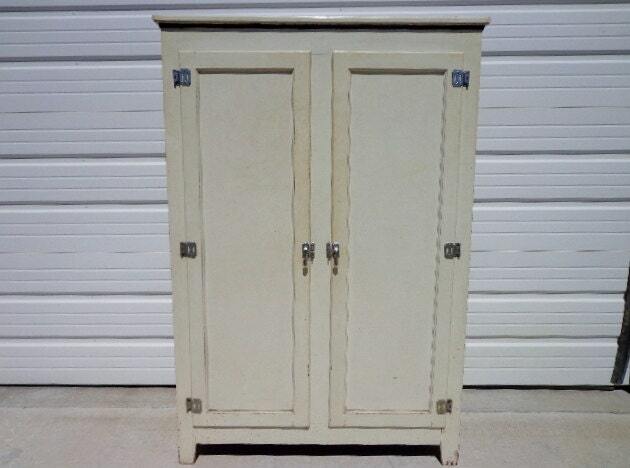 Crafted of wood, painted white with black trim and features all the original hardware/hinges. 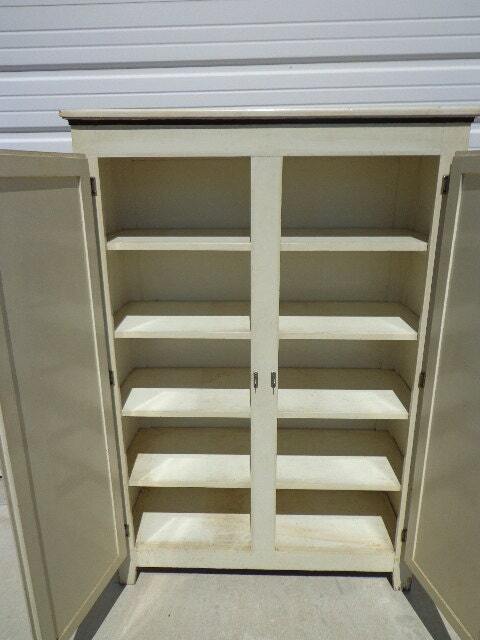 Features a double door design that opens to reveal ample storage and organization. 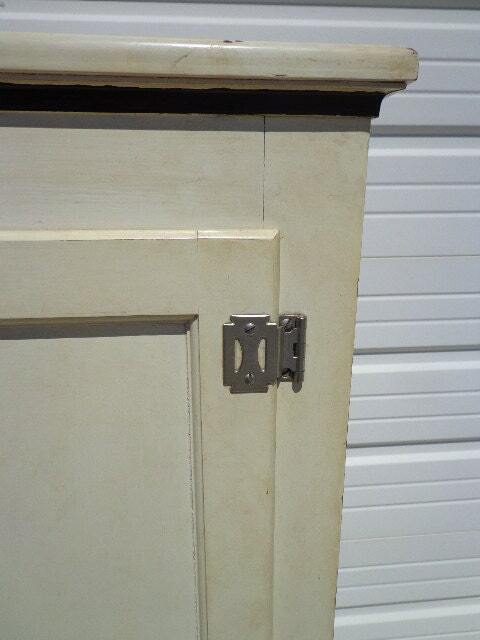 This piece is so versatile and could be used in a bathroom, utility mud room, bedroom, kitchen, entry way, or anywhere. In overall good vintage condition. Shows wear that is commensurate with age and use. Shows surface wear to the paint. 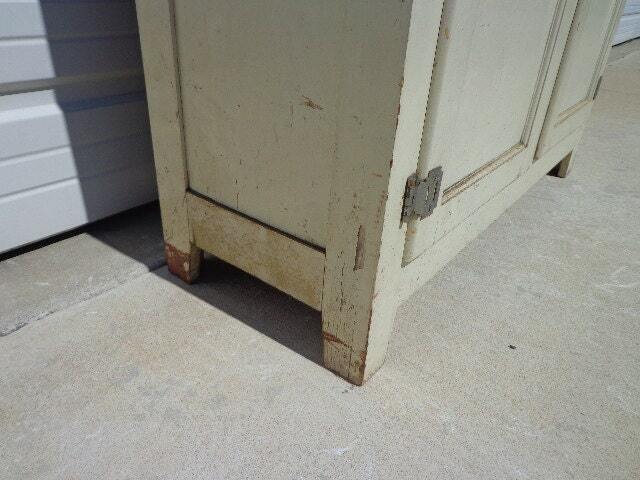 Keep as is with great patina or paint for a whole new look. Dimensions: 39.5" x 15.25" x 57.5"
Inside shelves: 37" x 13" x 9"